As per authorities, the second suspect has been arrested in the shooting case of Kelso Clerk following a lengthy car chase erupted into gunfire on interstates in Portland, Oregon. As per Police, 23-year-old Erkinson K. Bossy was arrested after the long pursuit at about 8 p.m. The pursuit happened from Vancouver, Washington, into Portland. As per reports, Vancouver police pursuing the fleeing pickup exchanged gunfire with at least one suspect and an officer was being treated for minor injuries at an area hospital. As per Police sources, Bossy was being treated at a hospital for serious injuries sustained in the incident. The department confirmed he did not have gunshot wounds. The second person in the pick-up van was arrested but yet to be identified by the Police department. According to investigators, Bossy was the getaway driver for D’Anthony Leslie Williams, 19, when he allegedly shot and killed 30-year-old Kayla Chapman, a clerk at a Kelso market, on Jan. 22. Williams was arrested the next day. Bossy has a criminal history, including convictions of possession of stolen vehicle and unlawful possession of a firearm. As per Kelso Police, earlier on Tuesday, at around 3 p.m., police also arrested a third suspect connected to the killing of Kayla Chapman. Police identified him as 21-year-old Nenemeny W. Ekiek. And about 7.30 p.m. Vancouver officers spotted Bossy, but when they tried to pull him over, they said he sped off, leading police on a chase and into Oregon, Kelso Police said. 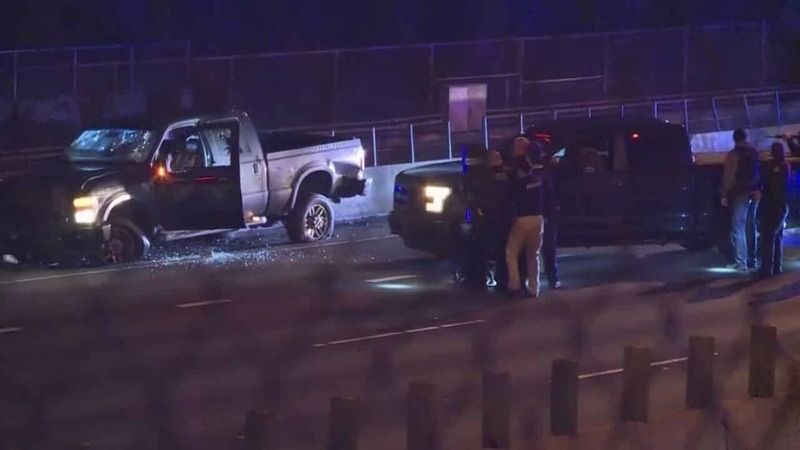 As per Jones, Vancouver police chased the suspects, who were in a black truck, southbound on Interstate 205 and then onto westbound Interstate 84. The arrests of Bossy and Ekiek Tuesday were in addition to the arrest of Williams in January. As per Police, three suspects are all connected to the killing of Chapman, 30, during a robbery at the Holt’s Quik Check at 400 Cowlitz Way on Tuesday, Jan. 22. Kelso Police said Ekiek was booked into the Cowlitz County Jail for investigation of first-degree murder, and he was the passenger in a vehicle at the time of the robbery and killing of Chapman. Police also added that they would have to seek extradition of Bossy from Oregon. Shannon Getman, who lives not far from the I-84 scene, witnessed the whole arrest scene. As per her, she ran over to the place after hearing a loud crash and police on loudspeakers. She recorded the whole incident on her phone which showed one suspect lying on the ground. She also said officers were giving him commands, but she said it was clear he couldn’t move. Another part of her video showed that the co-passenger of that van cooperated with the officers; he was seen walking backward toward the officers. As per Getman, the officers also brought a K-9 out to look around the car for other suspects.